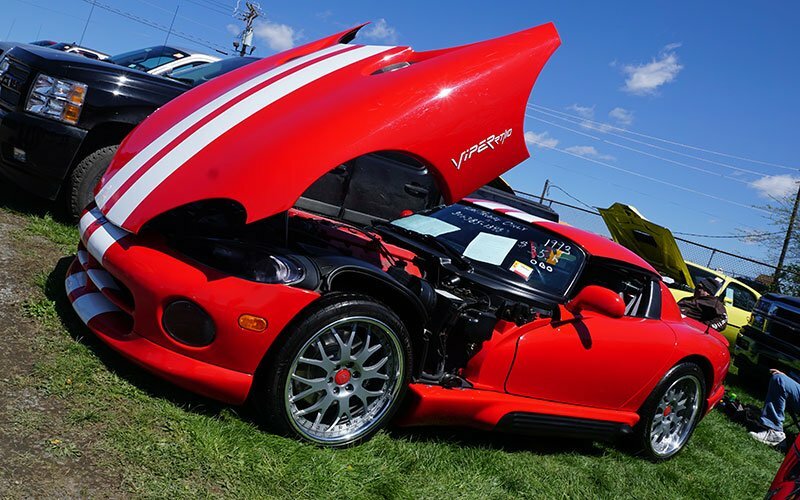 CARLISLE, PA — The weather finally warmed up and it was a great final day here at the Spring 2015 Carlisle Car Show. 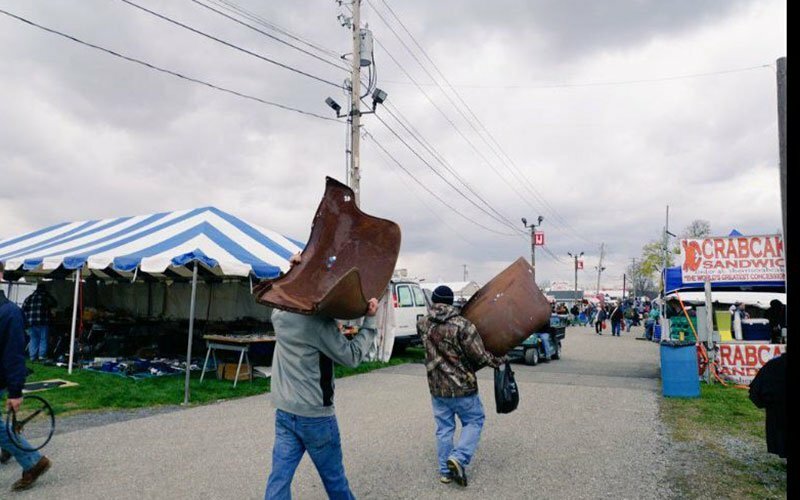 Carlisle Events, promoters of the show, told us that 100,000 spectators passed through the turnstiles at the Carlisle Fairgrounds during the four-day show. 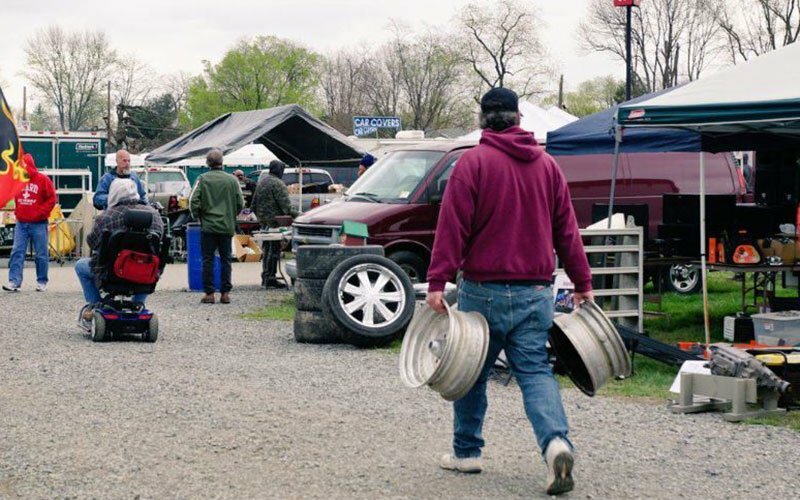 Even though the weather was chilly the first three days here it didn’t deter classic car collectors from rummaging for parts in the Swap Meet area. 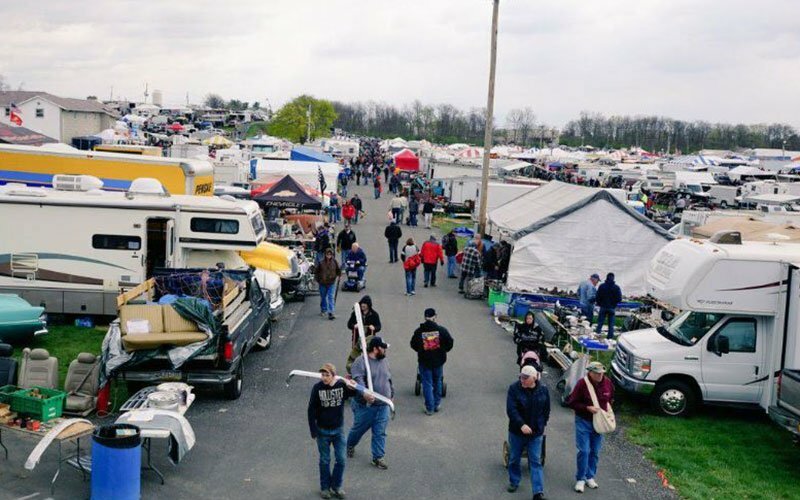 The Carlisle Swap Meet is traditionally considered to be one of the best in the U.S. 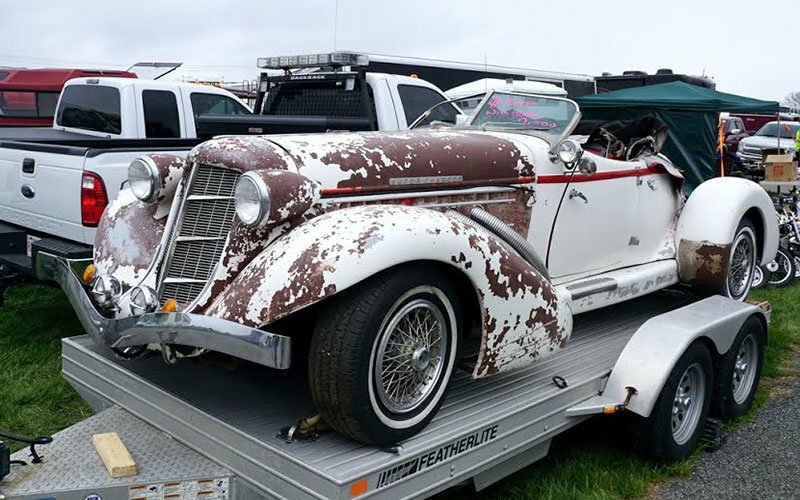 If you’ve been looking for that hard-to-find part for your collector car, you’ll probably find it here. 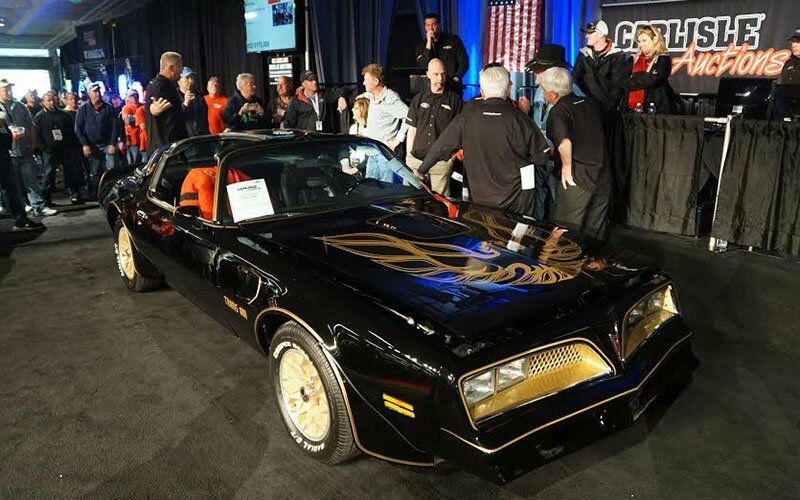 The “big moment” for this year’s show came when they sold actor Burt Reynolds’ personal 1977 Pontiac Trans Am Bandit at the Carlisle Events Auction. 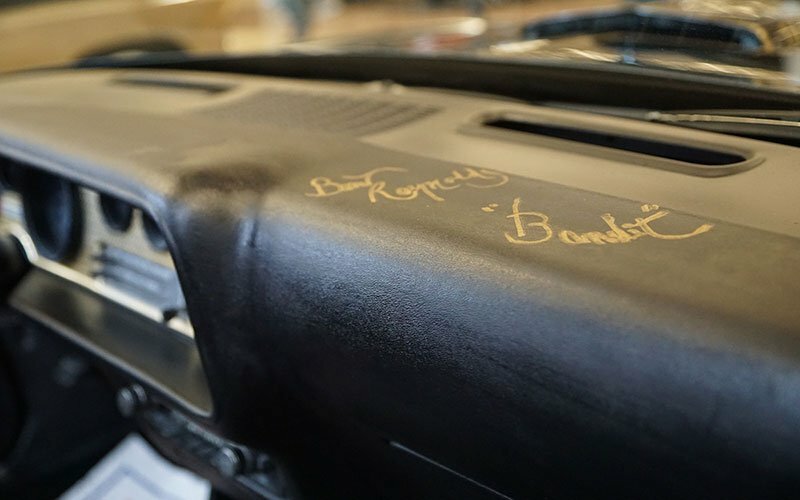 It was a reproduction of the car that starred in Reynold’s famous Smokey and the Bandit movie, built by one of Burt’s friends, Harold Murphy, and built as an authentic reproduction of the original Bandit movie car. Photo-journalist Bob Boberg captured the action in video. 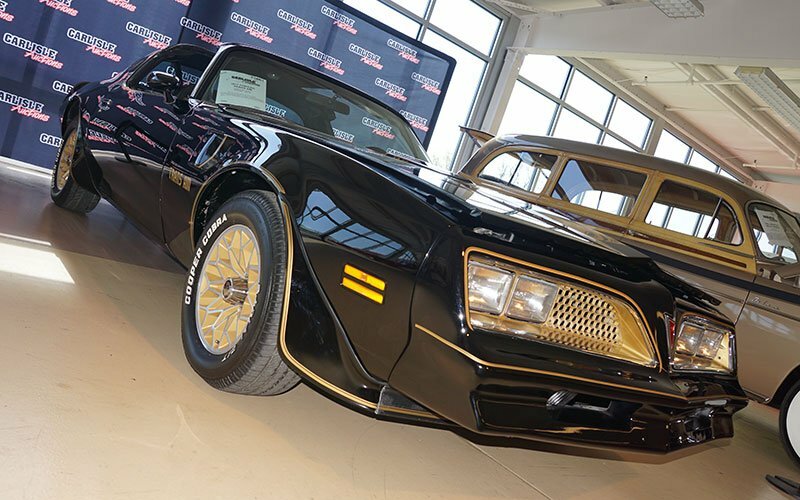 There happy buyer who outbid everyone for the Burt Reynolds Bandit Trans Am just arrived before the sale began. 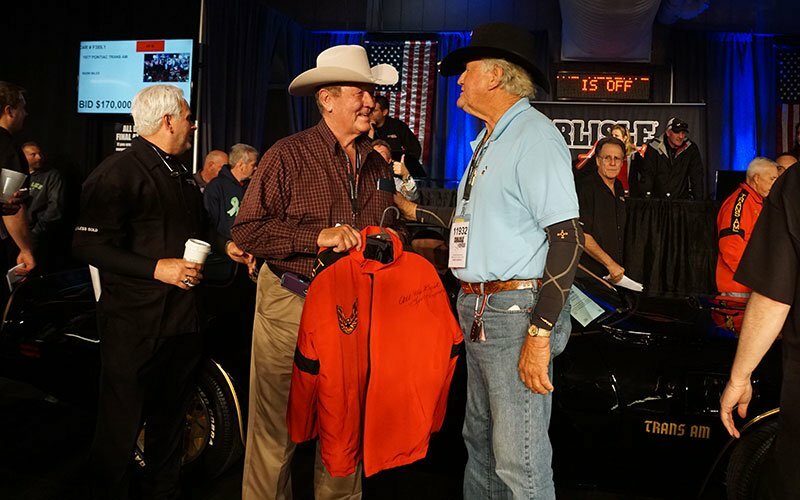 He came to buy the Reynolds Trans Am but was delayed and arrived just 30 minutes before the actual sale. 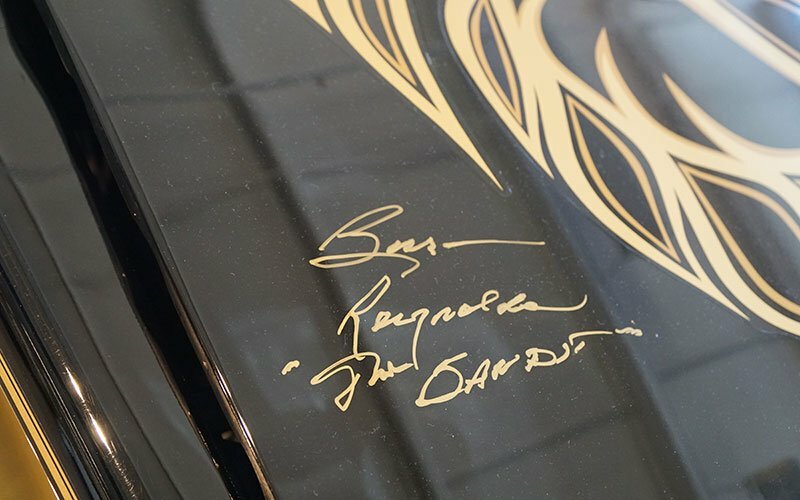 His presence was felt however, since he was determined to own this car. 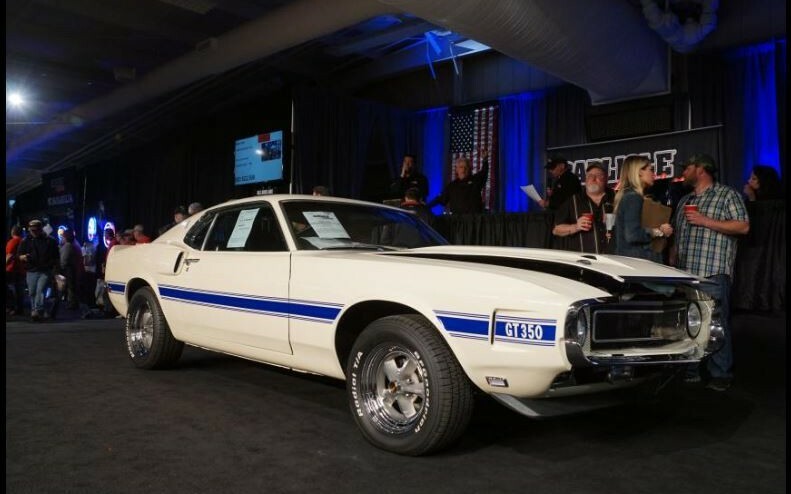 A 1969 Shelby GT350 sold during Prime Time for $68,000. 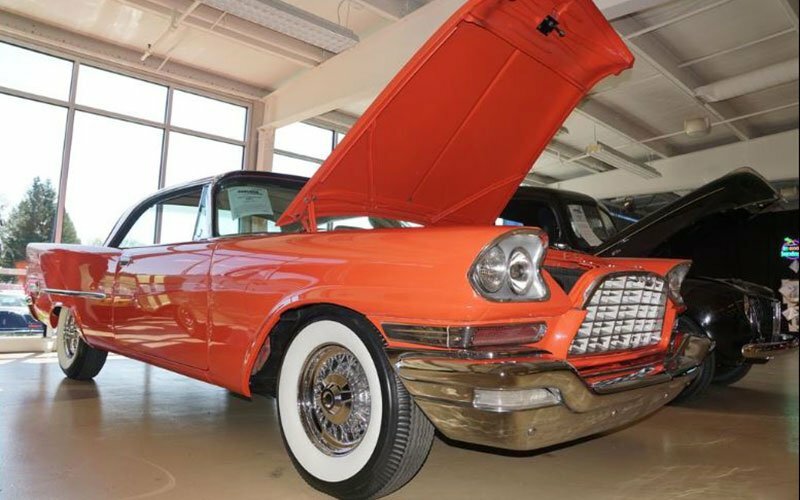 A 1960 Chrysler 300C 2-Dr Hardtop was bid up to $60,000. 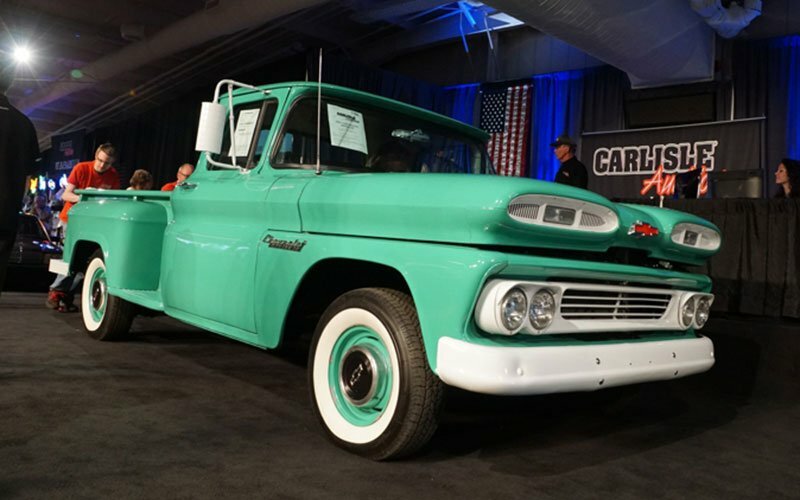 1961 Chevy Apache Pickup sold here on Thursday for $13,000. 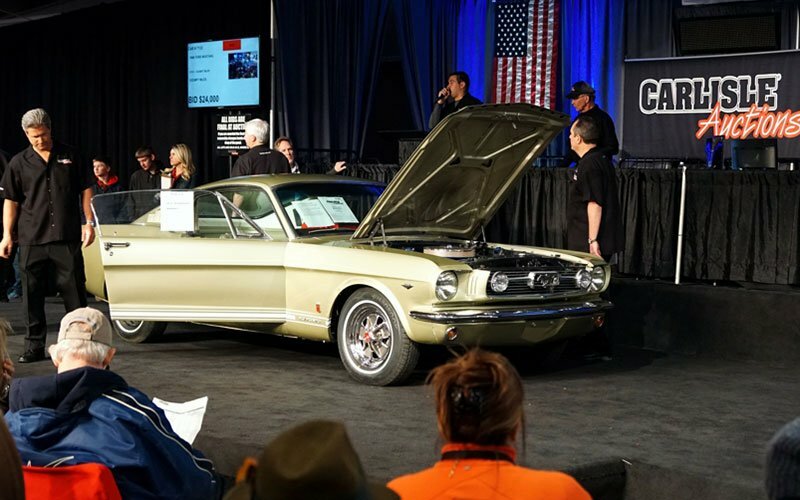 1966 Mustang Fastback with GT badging went for $24,000. Cars On Line.com’s car show writer Bob Boberg of eClassicAutos.com should be credited with all the photos and write-ups on this page. He shot photos and video of the show for our readers. Also check out Bob’s Twitter page to view his posts and comments. 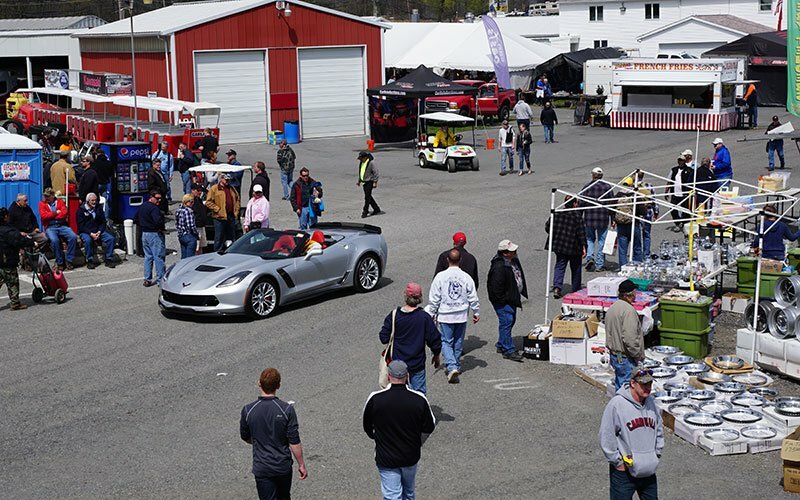 What we found out from watching the Carlisle auction and observing what was going on in the Car Corral here, it seems that there is a new ceiling price on collector cars. 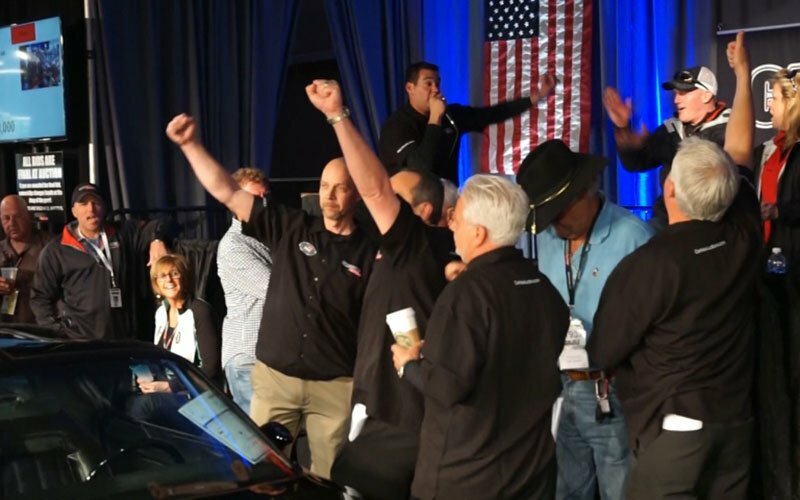 Only cars under $40,000 were selling. 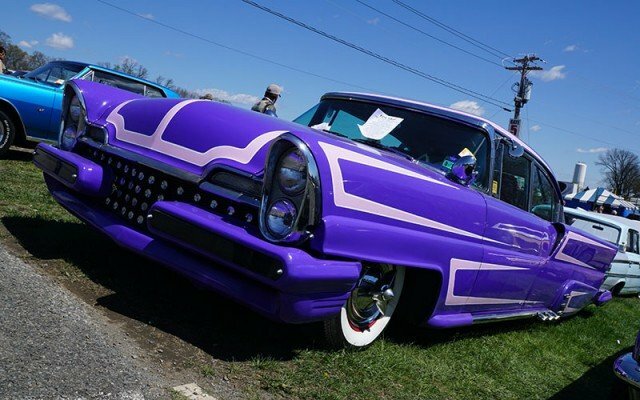 Is this a new benchmark for the current collector car market? We’ll have to see. 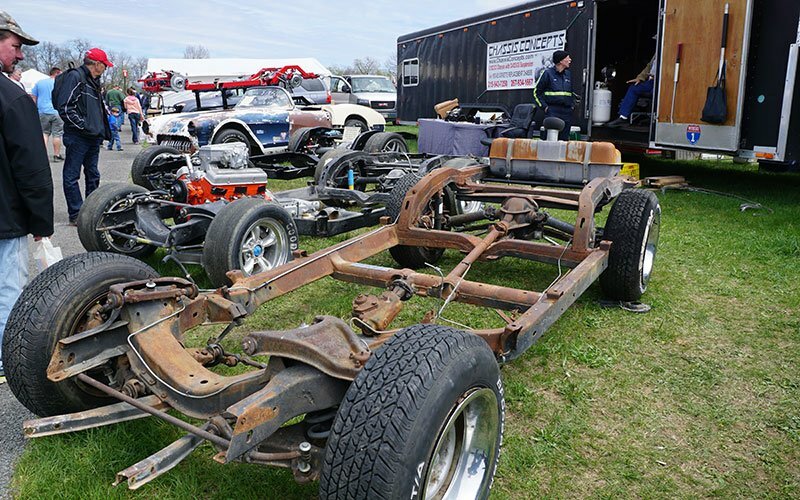 Here are some of the offerings we found for sale in the Car Corral here at the Spring 2015 Carlisle Car Show. 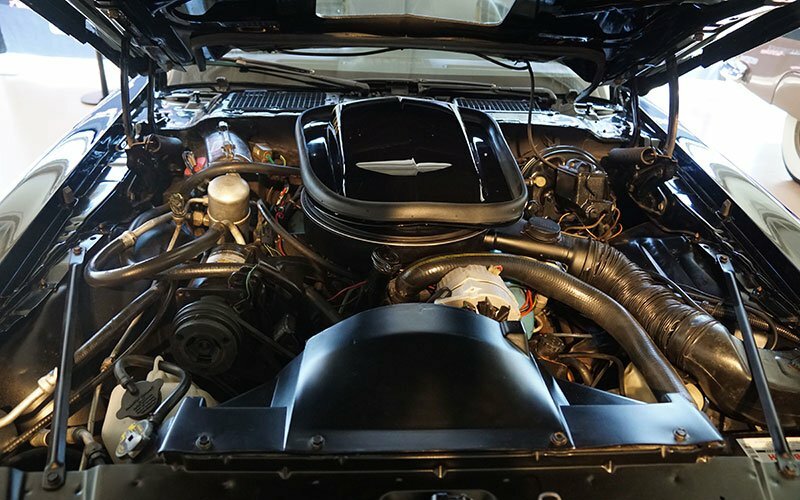 1968 Corvette NCRS Top Flight winner, asking $35,000, SOLD on Friday. 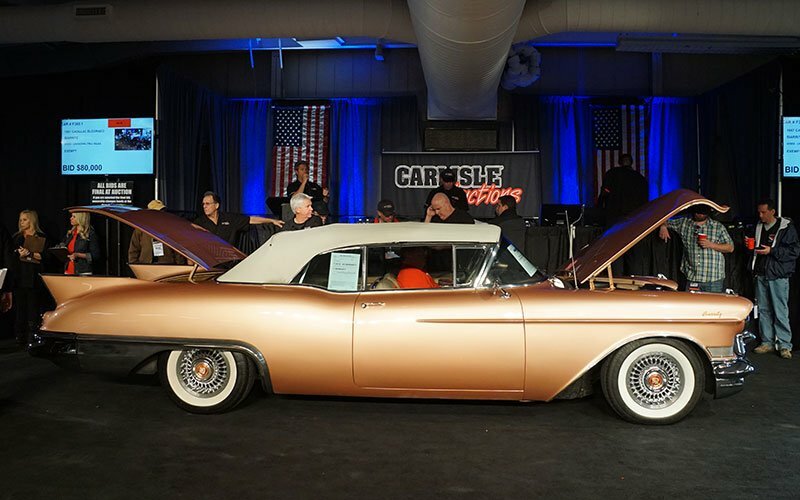 1957 Lincoln Premier Custom Hardtop with an asking price of $22,000. 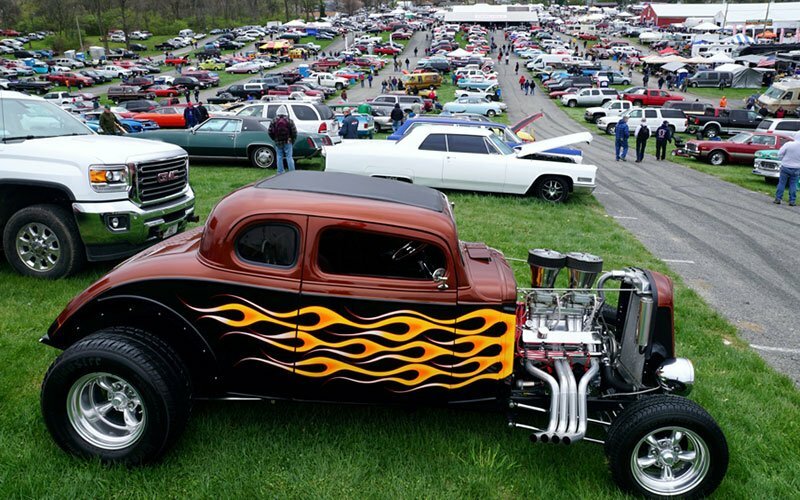 For decades, the Spring Carlisle Car Show and Swap Meet was one of the top five collector car shows in the country. 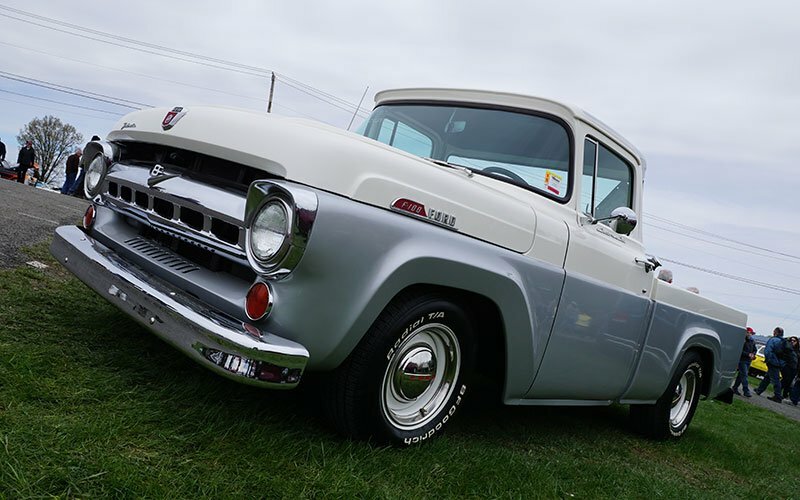 This is where you find Classic ’50s parts and muscle car era parts. 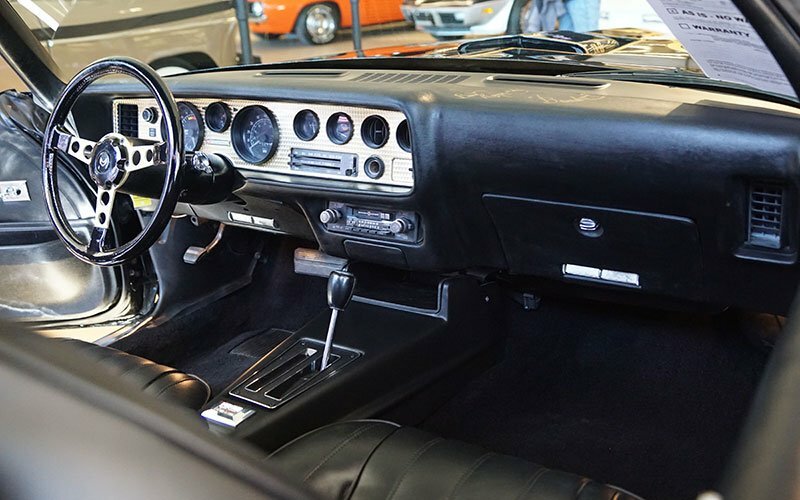 Although the mixture over time has changed somewhat to include lots of hot rods parts, this is still one of the best places in the country for parts shopping. 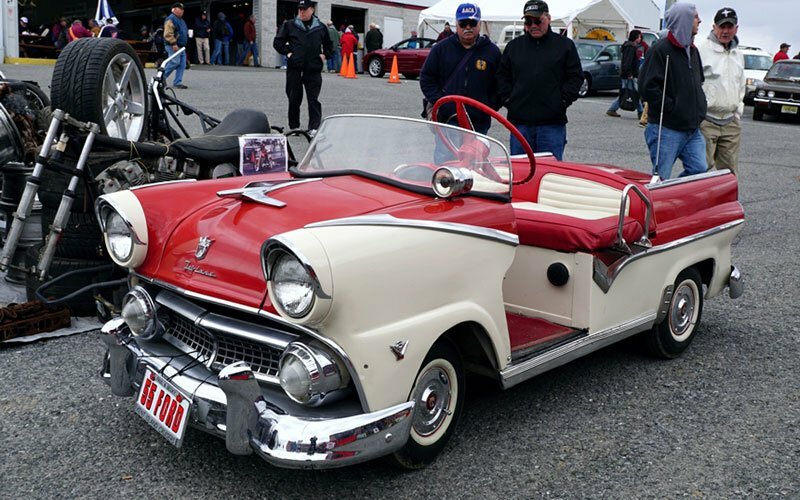 Click the Slider below to view photos. More fun than a barrel of monkeys. 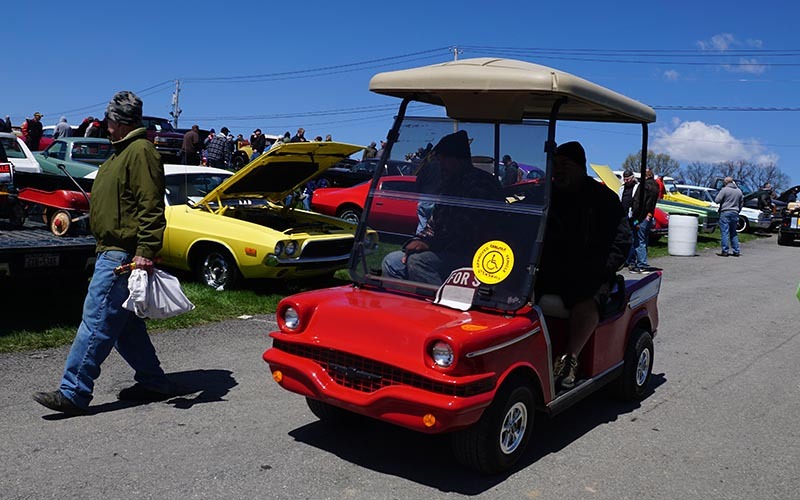 We Baby Boomers can no longer walk the entire Swap Meet here at the 2015 Spring Carlisle Car Show, so we have our ways of personalizing our transportation. 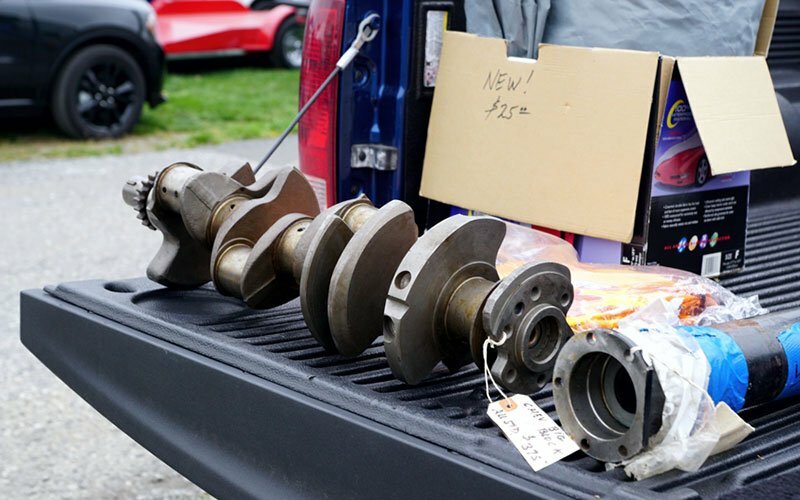 Here is some of the crazy stuff we spotted in the Swap Meet area on Thursday. 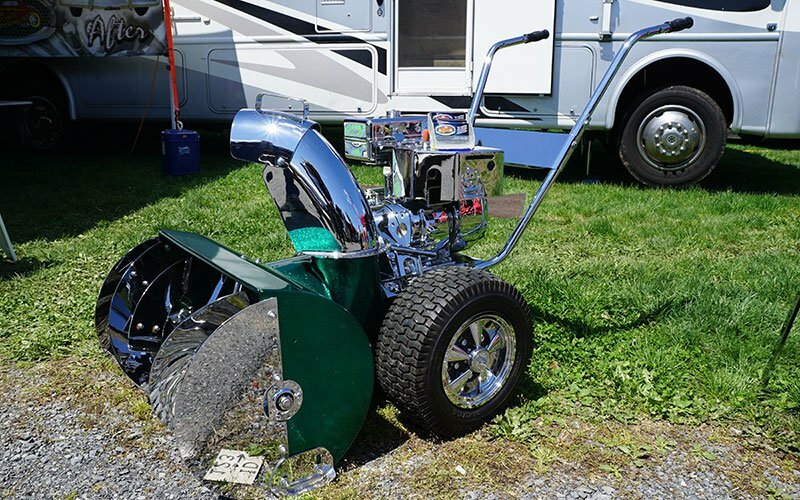 Pro Street Snow Blower !! !